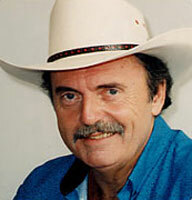 Chanteur Country Canadien né Gary Ralph Buck, le 21 Mars 1940 à Thessalon (Ontario). 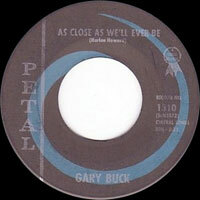 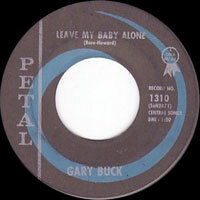 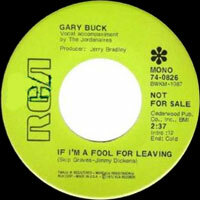 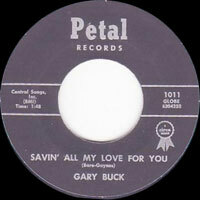 Gary Buck est décédé le 14 Octobre 2003. 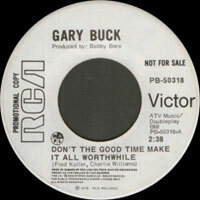 Canadian Country singer born Gary Ralph Buck, March 21, 1940 in Thessalon (Ontario). 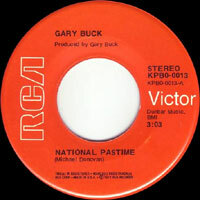 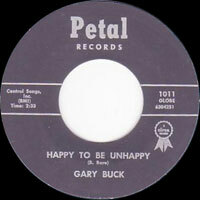 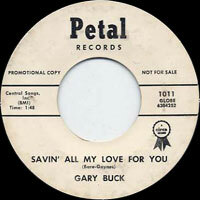 Gary Buck died October 14, 2003..
1989 SP GARY BUCK PRODUCTIONS GBP 1090 (CAN) . 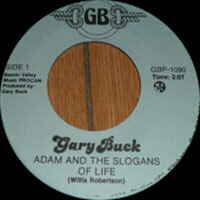 Adam And The Slogans Of Life / What Do You Think About Making Love (To A Married Man)?